"A selfie stick is not just an accessory," the man says with shades of Jony Ive, "it's an extension of who you are." So true, isn't it? Except it's not true. Not a word of it. 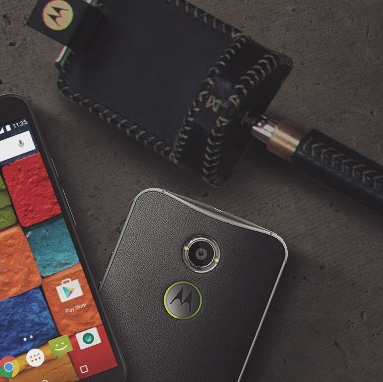 This is April Fools, and Motorola is having a little fun with the promo video below for a handcrafted selfie stick. Not funny? Okay, Motorola is also offering $140 off an unlocked Moto X to make up for it. The video is worth watching, and is cringe-inducing in all the right ways. All the lofty language and artsy shots of designers talking about the selfie stick are admittedly amusing. You're here for the sale, though, right? Okay, just go to Moto Maker and design a Pure Edition Moto X and it will automatically be $140 off at checkout ($359.99 for the basic 16GB). You can also take 30% off accessories. The discount is available until 10:59AM central tomorrow (April 2nd). You can also request a promo code from Motorola for $140 off that is good until April 15th. That's how you do April Fools.